Dutch development bank FMO jointly with RSA Advisory has led a USD 80 million (BDT 650 crores) syndicated five-year loan to ONE Bank, a strongly performing and robustly-growing private commercial bank in Bangladesh, which will be primarily dedicated to finance small and medium-sized businesses (SME) and Green Projects that contribute to inclusive growth and sustainable development of the Bangladesh economy. 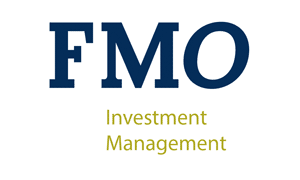 Linda Broekhuizen, Chief Investment Officer FMO, said: “ONE Bank is a long-standing partner for FMO. With extensive outreach to SME entrepreneurs, the bank is propelling job creation and driving the economy. ONE Bank at the same time is a committed front-runner in green financing. The alignment of focus between ONE Bank and FMO make us a proud partner to jointly maximize job creation, inclusive growth and positive sustainability effects of our development lending strategies”. The loan syndication has been jointly arranged by FMO and RSA Advisory from Bangladesh and is the second such facility extended to ONE Bank. Other participants are Proparco (the French private sector development bank), Norfund (Norwegian Investment Fund for Developing Countries), OeEB (the Austrian Development Bank) and ACTIAM-FMO SME Finance Fund (a closed-end fund for institutional investors -mostly Dutch pension funds- of Fund Manager ACTIAM and Investment Manager FMO Investment Management BV). This transaction is FMO’s largest syndicated loan transaction to a bank in Bangladesh to date. And will make a positive contribution to at least four UN Sustainable Development Goals: SDG 1 (no poverty), 8 (decent work and economic growth), 12 (responsible consumption and production) and 13 (climate action). The new financing will support ONE Bank’s well-advanced upgrading of its Environmental and Social Management System, in line with FMO and Bangladesh Bank requirements, and provide the funding base stability needed for future expansion and to access other international financiers and investors.